Two gentlemen. One airplane. Zero fuel. A solar-powered airplane – and two inspiring pilots – just wrote the next pages of aviation history by completing a feat that was once deemed impossible: a flight around the world using zero fuel. When Bertrand Piccard, psychiatrist, explorer, and aeronaut, and André Borschberg, engineer, entrepreneur, and pilot, announced their vision of flying around the world without any fuel or polluting emissions, the mission was considered unthinkable. And highly risky. Should the plane’s flight fail or even waver, the two gentlemen’s lives would be at stake. But on July 26th, 2016, Bertrand and André turned a dream into reality. Covered by more than 17,000 solar panels and constructed with lightweight carbon fiber, the single-seat airplane, otherwise known as Solar Impulse II, flew 40,000 km and over 500 hours, flying both during the day and at night, entirely powered by the sun. The expedition broke 19 official aviation records, including the longest uninterrupted solo flight, an 118-hour journey from Japan to Hawaii. 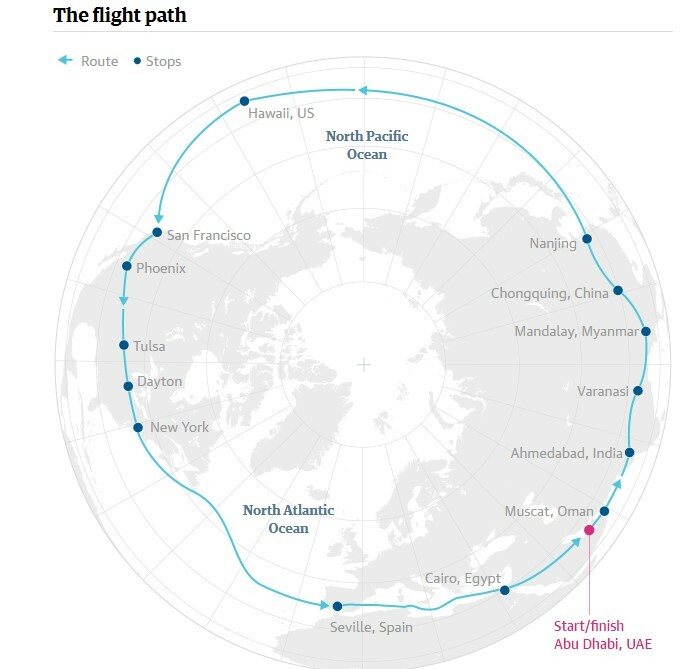 On March 9th, 2015, the plane departed from Abu Dhabi, subsequently flying to India, Myanmar, China, Japan, U.S.A, and then back to Europe, finally landing in Abu Dhabi this past Tuesday. Because it is not possible to fly above multiple continents and oceans in one single attempt, the Solar Impulse II completed the historic trip around the world in a multitude of stages, allowing the plane to rest and for the pilots to switch positions in the driver’s seat. “Solar Impulse is first and foremost a quest for a form of clean energy that would enable an aircraft to fly around the world without harming the environment – a form of energy capable of conquering the skies without damaging the earth. This project helps to show that the new low-carbon economy that the world needs is possible today. Now, more than ever, we need to foster research and innovation.”– Prince Albert II, Monaco Foundation. 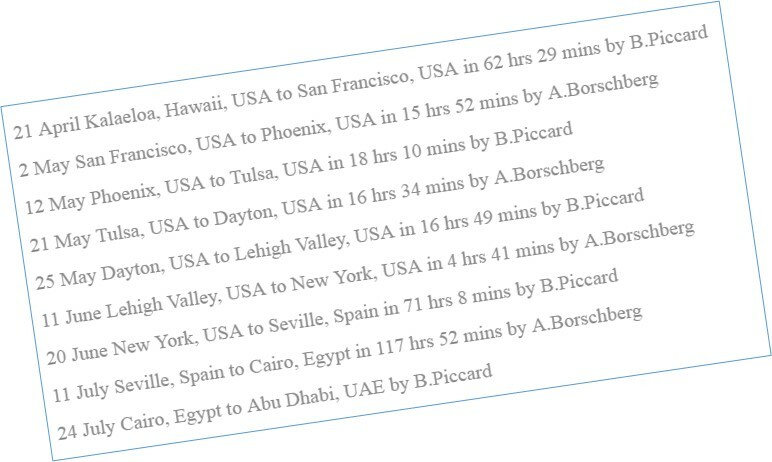 Solar airplanes had been flown before, but only during the day and for brief periods of time. In 2002, Bertrand Piccard presented the project to the Ecole Polytechnique de Lausanna (EPFL), and a feasibility study was immediately launched. Leader of the study? André Borschberg. From 2004-2006, Bertrand developed the idea, and sought start-up financing and design development, formalizing an agreement in March 2007 with Deutsche Bank. Other partnerships were established with suppliers SolarMax, Victorinox, Toyota Switzerland, Siwsscom and BKWFMB, who contributed technical developments, maintenance, advice, and other facets of production. On June 26th, 2009, Bertrand and André revealed a prototype – 63 meters wide and 1600 kg heavy – to 800 onlookers. On July 7th, André completed the first-ever night flight using absolutely zero fuel nor emitting pollution. In 2012, Solar Impulse I achieved its first international flight, flying 6,000 km without fuel. In 2013, Google became an official technology and internet partner, leading to the beginning of Solar Impulse II’s design. In April 2014, Solar Impulse II was born and flight testing had commenced. 2015 represents the beginning of the quest around the world. The journey continued in 2016. The plane finally landed in Abu Dhabi on July 26th, 2016. Aviation had been forever changed. At last, technologies exist which can simultaneously protect the environment in a cost-effective manner and bring profits to companies. The problem with our society is that, despite all the grand talk about sustainable development, we are a long way from making use of the clean technologies that are already available to us. 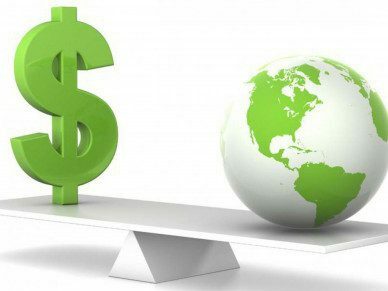 It certainly seems that if sustainable development has difficulty in becoming a reality, it is because it is still more often than not associated with crippling costs and a restriction of comfort or mobility. It is this idea that has to be corrected. – Bertrand, 2004. Bertrand continues to further delineate the importance of attempting to adapt the way humans function, to create personal interests on behalf of society to change mindsets towards thinking about sustainable development. He is right, in my opinion. Continue reading here. The world we live in is desperate for the continuous innovation of clean technologies and the reduction of waste. The solar flight around the world is not an isolated scientific miracle, it’s a true solution. Our world could reduce nearly half of overall CO2 emissions by replacing old polluting devices with new clean technologies. “But for this, we need political courage, and pioneering spirit.“ – Bertrand. Massive milestones have been achieved, but we still have further to go. The solar plane’s maximum speed is 43mph and it must fly at high altitudes to capture enough solar energy, requiring pilots to use oxygen masks. Additionally, as proven by the Solar Impulse II’s flight delay in Hawaii to repair batteries that had been damaged en route, the plane’s ability to fly is dependent on good weather conditions. But – Solar Impulse has defied barriers; Bertrand and André have accomplished something once deemed impossible. Unthinkable. The solar flight around the world is a tremendous achievement in the history of aviation – and in the history of energy. Think about how fast flight went from the Wright Bros (1903) to Chas. Lindbergh (1927). Solar flight will scale faster methinks. Great post!